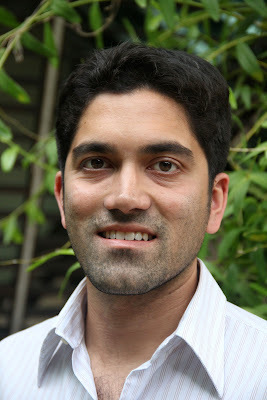 SUDHIR THOMAS VADAKETH thinks of himself as a citizen of the world. “Can’t think of a less clichéd way of putting it,” he says. 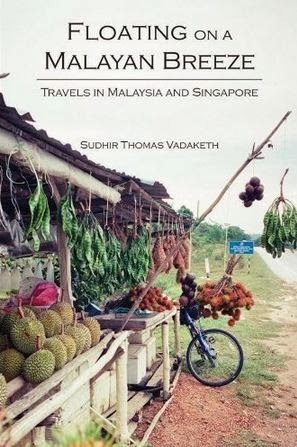 Floating on a Malayan Breeze chronicles Vadaketh’s journey through Peninsular Malaysia with his best friend Sumana Rajarethnam. The two made the journey on bicycles, armed with not much more than a tent, two changes of clothes and a daily budget of about RM10. Why would an Ivy League scholar and senior editor at Singapore’s Economist Intelligence Unit take on such an endeavour? The RM10 budget might sound improbable but the two friends made it work. “Most days, we would eat roti prata or nasi lemak. Lots of carbohydrates, some vegetables but not much meat because meat is expensive. We rarely had to buy water, as people would often gladly fill up our water bottles for us,” he recalls. As it turned out, packing a tent was a great move. “We pitched the tent probably half the time—especially on the beautiful sandy beaches of the East Coast. The rest of the time we stayed in people’s houses or shacks.” Vadaketh and his friend sometimes ended up spending the night at religious institutions and can count one mosque, one church and two Sikh temples as “rooms for the night” during their trip. They even stayed at a police station—twice! Orang Melayu, bini dulu, baru cari harta. Orang Cina, cari harta, baru bini. “The idea here is that the Malay philosophy has influenced Malaysians more, and the Chinese philosophy has influenced Singaporeans more. Stereotypes have their limitations, of course, but I’ve heard similar sentiments from many people. “Before we cycled through Malaysia, we had a feeling that Malaysia’s system is inherently unfair. What we did not expect, however, was for several Malaysians to complain about Singapore’s system. Many of them believe that our exacting meritocracy is inherently unfair, because it allows the rich to get richer, and the poor to get poorer. “We think Malaysia’s system is unfair, and Malaysians think our system is unfair. At the time, we felt Malaysians were wrong, but in a sense they were very perceptive—income inequality is now a big problem in Singapore. “In short, our socio-economic systems are very different but they are also similar. Today—some 50 years after both countries gained independence—both systems have led to certain segments of the population being disenfranchised. “Meanwhile, I think one of the big differences between the countries is that Singapore is a pure urban jungle, albeit with lots of greenery around. Hence the sense of urban estrangement is heightened. People are usually in a rush, bogged down by their numerous endeavours. There are no rural areas, where the pace of life slows, and everybody knows your name. “So, while big city dwellers in most countries will have an opportunity to live amongst their countrymen in less stressful environs, Singaporeans do not. Every other Singaporean we meet is living in the same metropolitan pressure cooker. Many people who live in Kuala Lumpur actually come from much smaller, more rural areas of Malaysia. Hence, there is a diversity to life that is missing in Singapore, which is much more homogenous.